Norway, a fascinating country characterized by gracious multicolored villages, forests, fjords and sea. Nature rules this country. She is source of life for human kind, but, at the same time, she may no longer be compassionate with us. Freezing temperatures , wild environments and a very unstable weather are the main reasons why people need to call the national emergency numbers 112 or 113 to request help and care. Have you ever wondered how Norwegian rescue service works? In order to know much more information, we interviewed the Northern Norway Joint Rescue Coordination Centre (JRCC) director Bent-Ove Jamtli . The two Rescue Coordination Centres in Norway were established in 1970. Before the current emergency management, rescue operations were not well coordinated, because there was a kind of “ad hoc” organization. There were no rescue helicopters in Norway, for example, which now, with sea rescue, are the most important vehicles during dispatch. The first helicopters were bought in 1967 after a big incident occurred in the middle of the sea between Norway and Denmark. A ship was in heavy distress. About 150 people were on board and the boat was about to sink. Fortunately, everyone have been rescued by the Danish thanks to the use of rescue helicopters. Denmark was the only one which had of a good range of rescue helicopters available, so they were able to rescue people in danger in the sea without issues. Norway was a little bit lacking in that field, so the main rescue organization decided to get sea rescue helicopters, too, and two rescue coordination centres were established: one in Northern Norway, located in Bodø, and the other in Southern Norway, located in Sola. This organization has been formed to provide a good quality service in the whole country. After that incident everything has been improved to provide an even better emergency service. An emergency call arrives in two different ways: via emergency transmitter, maritime VHF ch 16, MF radio, DSC or via 112 / 113. In case it’s an emergency transmitter call, from an aircraft or a boat, we receive it directly. If the call arrives to police forces through 112 or to ambulance service through 113, and if they cannot manage it directly, they will put the call forward to the JRCC NN. “Most of the distress calls are received by our coastal radio system”, explains Director Jamtli. Once the JRCC NN get a call and before they intervene, they may request the support of other forces. “We have satellite systems to know the right position of a boat or a person lost thanks to polar orbit satellites”, explains the Director. In case of an emergency beacon in the sea or on an aircraft, JRCC NN gets the signal from American GPS and Galileo satellites. Further development of satellite receipt and transmission of distress signals are get by emergency beacons. They also dispose of a normal location system, like coast radio stations, HF radio. “Generally is the coast radio station notifies us about incidents.”, explains Mr. Jamtli. What about the rescue vehicles? The most important rescue resource JRCC NN dispose of are rescue helicopters. In particular they dispose of special SAR assets for SAR, Air Ambulance and Police support priorities. 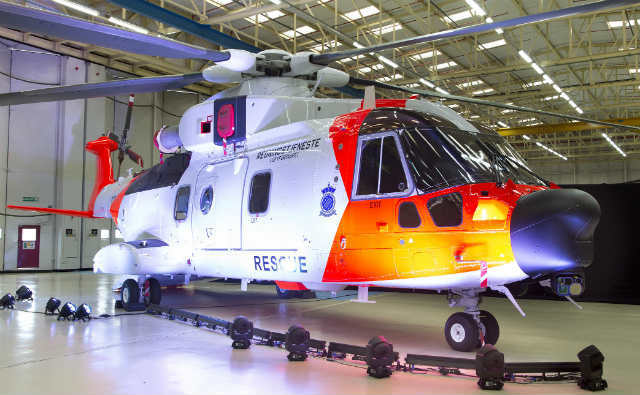 for this, they have Sea-King helicopters available, however they will be soon replaced by AW-101 from 2017-2020. Public institutions are obliged to participate with all available and feasible resources in a rescue operation if asked by national and regional JRCC–Public institutions covering their own expenses, which are salary, administration and transport costs. On the other side, we cover the extra costs, such as expenses related to the use, damage and loss of equipment. Fortunately this has been a case in which no one got hurt or lost life. The fortune is that these guys were near the shore, otherwise, nobody could imagine what might happen if they were not. Many times, because of the bad weather, professionals cannot be dispatched. It would be very risky for them, too. We asked to Mr. Jamtli if they are thinking about some project to improve their activity and to ease their work in the SAR field. 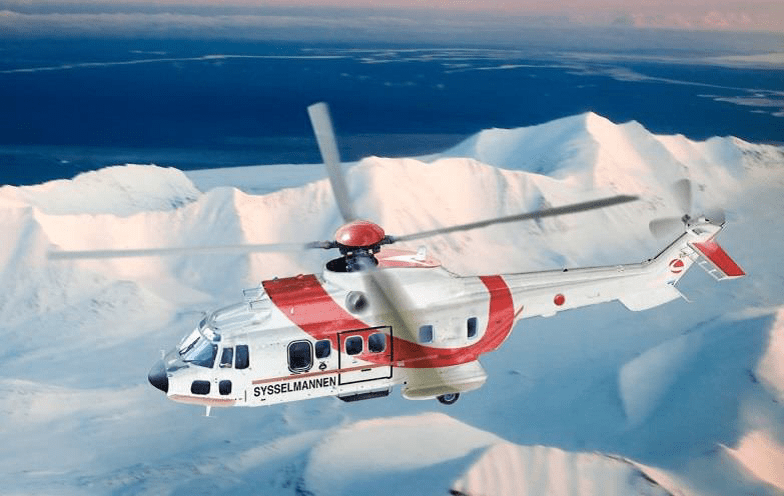 AugustaWestland 101 helicopter manufactured by AugustaWestland s.p.a.